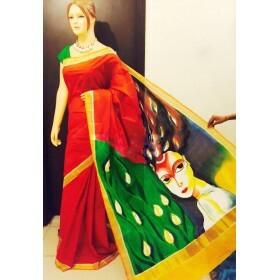 New exotic traditional Kerala hand painted saree of pure cotton fabric from MALABAR SHOPPING for saree lovers to get a traditional touch. 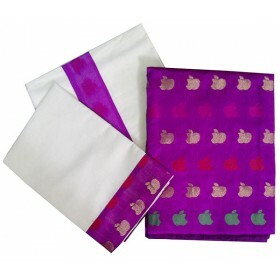 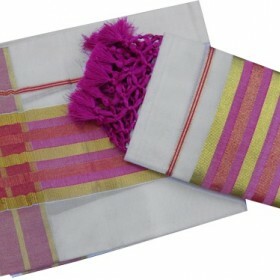 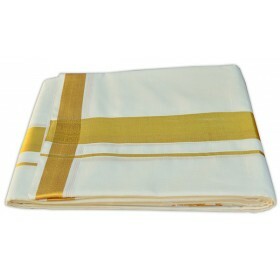 When we wear this saree it seems like half saree which makes it variety from others. 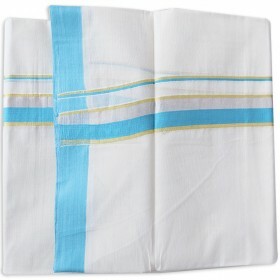 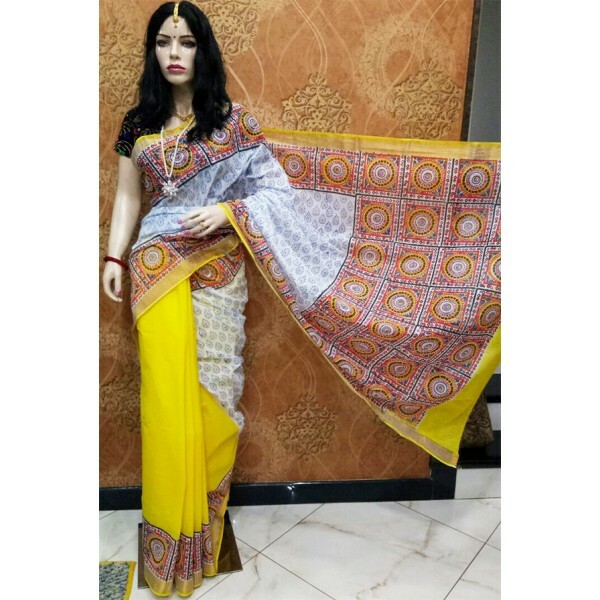 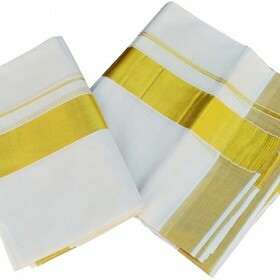 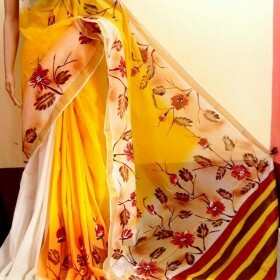 It has special round shape attractive hand painted design on pallu and border of the top fleet with small butta work on whole fleet which makes rich. 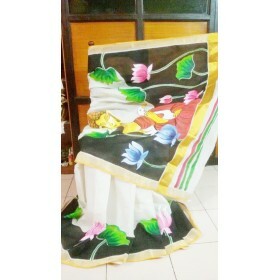 On bottom fleet we have round shape hand painted design on border along with kasavu makes attractive.